THE IRISH FISCAL Advisory Council has warned the government against additional spending in the next Budget. 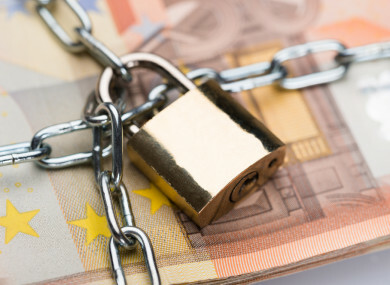 In its pre-Budget submission this morning, the council said debt levels still remain very high, “which leaves Ireland vulnerable to adverse shocks such as those from a harder-than-expected Brexit impact”. The council, which is the State’s independent spending watchdog, did note that Ireland made substantial progress in moving public finances to a safer position, but said risks remain. “The council assesses that it would be conducive to prudent economic and budgetary management for Budget 2018 to stick to existing spending and tax plans within the available gross fiscal space for 2018 of around €1.7 billion,” it said. It pointed out that the cost of previously announced measures and the yet-to-be-approved public sector pay agreement reduces the scope for new initiatives in the forthcoming Budget. However it said if additional priorities are to be addressed, these should be funded by additional tax increases or through re-allocations of existing spending. Considering that the rules already risk being breached this year, a further relaxation of the stance for 2017 would not be appropriate. Within-year expenditure increases, like those in 2015 and 2016, would result in a much more expansionary stance than originally planned, unless they are offset by corresponding expenditure savings or new revenue measures elsewhere. In its statement the council also referenced the Rainy Day Fund, which it said could “make a useful contribution to more sustainable growth and to prudent management of the public finances”. However it said details of how it should operate should be published as it is not clear how the design of the fund will “ensure that it is truly countercyclical”. Email “Fiscal Council says Ireland is still vulnerable and warns against extra Budget spending”. Feedback on “Fiscal Council says Ireland is still vulnerable and warns against extra Budget spending”.